Airwheel intelligent electric scooters can be experienced in person on CES, 2016. Abstract: The long-anticipated event will be held from Jan 6th to Jan 9th, 2016 at the Las Vegas Convention Center in Las Vegas, Nevada, United States. Airwheel, as one of leaders in the intelligent and portable transport industries, will attend the world known big event with its latest research and development achievement, including M3, Z3 and S6. It is usually held in January. The long-anticipated event will be held from Jan 6th to Jan 9th, 2016 at the Las Vegas Convention Center in Las Vegas, Nevada, United States. Airwheel, as one of leaders in the intelligent and portable transport industries, will attend the world known big event with its latest research and development achievement, including M3, Z3 and S6. 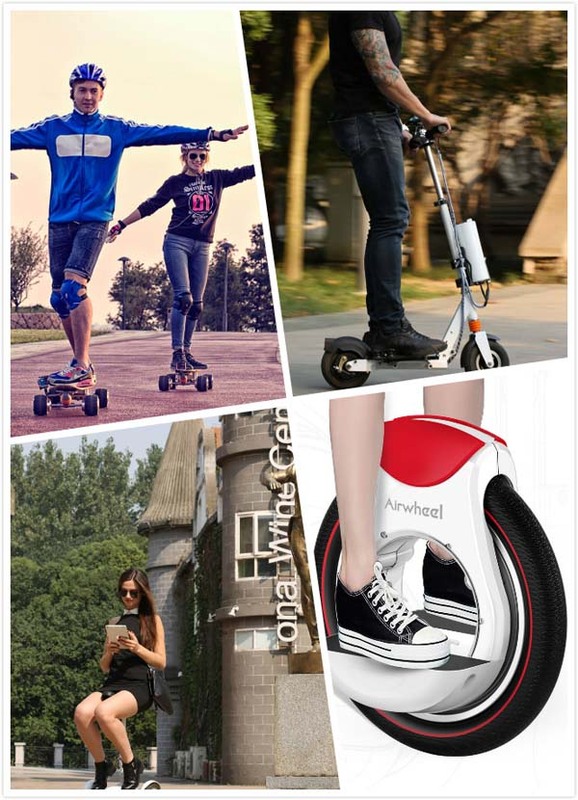 Airwheel M3 is the first electric skateboard, which is different from the traditional skateboard. Powered by battery, M3 wireless remote control skateboard makes skateboard is labouring saving. The front and rear wheels have been equipped with TPU material damper mass to make the ride more smoothly. On the basis of the 2 wheel scooters, Airwheel Z3 has made the scooter more comfortable. For one thing, Z3 changes the side standing which easily cause fatigue. The obverse standing design enables the riders to ride in a more ergonomics way. That is, the riders will no longer need to twist their body to ride it. There are other shining points, for instance, DIY and up-equipped battery, adjustable operating arm, intelligent security tail lights system, shock mitigation system, multiple fold system and so on. Airwheel S6 is the smallest self-balancing electric scooter in the Airwheel S series, known for its various ways of riding modes and mini modelling. Airwheel is not just a mechanic assembly. When the inspiration and technology is naturally intertwined, it is indeed a work of art. Welcome to test Airwheel products at CES show Booth No. : 48001 & 48003 in Las Vegas in USA.